This gel-based cleanser is an absolute pleasure to use! It creates a nice lather that sweeps oil, makeup and other environmental impurities from the skin fast and easy. I noticed that nothing comes off when I apply my toner after cleansing my face with this which means it really removes all the deeply settled dirt away in a single step. I feel significant dryness after using it which is nothing that a moisturizer can’t fix. It has a biting fruity-floral scent which I love but I think that people with sensitive noses may find a bit cloying. 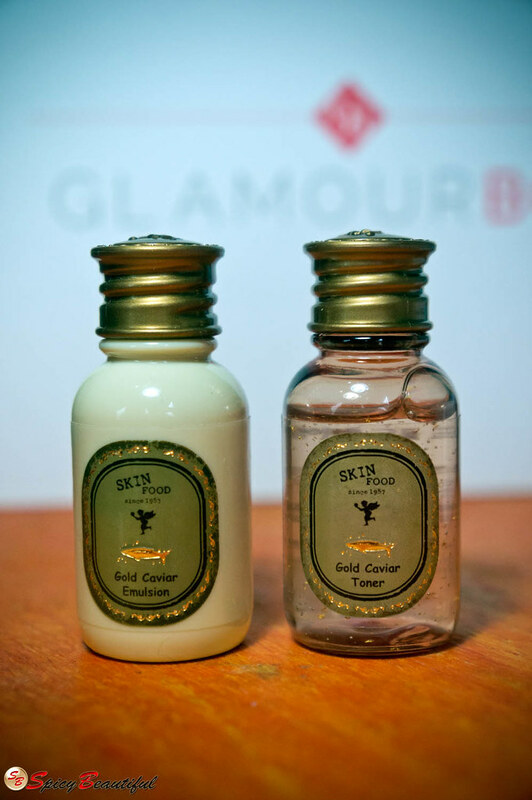 This duo claims to have Russian caviar and pure gold in their formulation which helps in nourishing the skin, lessening signs of aging and firming up the skin. I’ve been using them for more than two weeks and hardly noticed a difference. Don’t get me wrong, it’s not the products’ fault – I understand that they are made from natural ingredients and skincare products like these don’t really deliver immediate results. Perhaps, with continued use, I’ll be able to see dramatic improvements. As of this writing, I am loving the toner as a foundation primer – I know that’s not what it’s supposed to do but it softens the texture of my skin while making the pores less visible so it’s working out for me that way. I find the formula of the emulsion as a little runny which is a good thing because it makes a pea size amount of the product enough to cover my entire face. 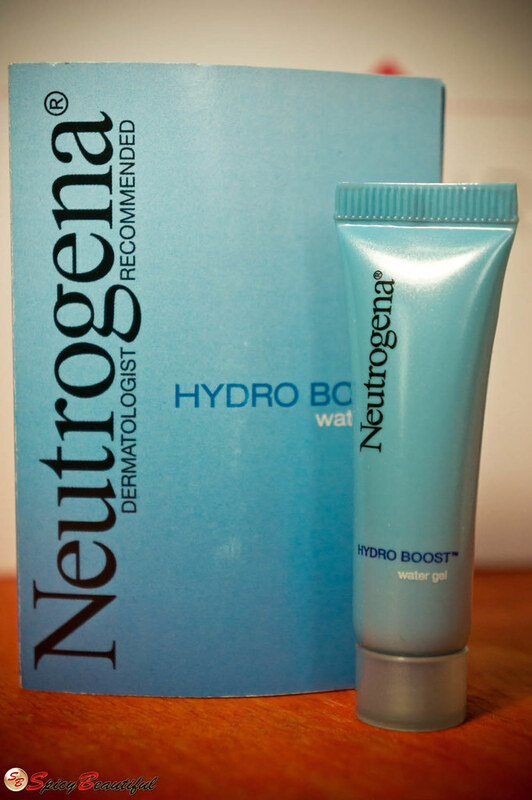 It provides the daily hydration I need but it sits on top of my skin like crazy. 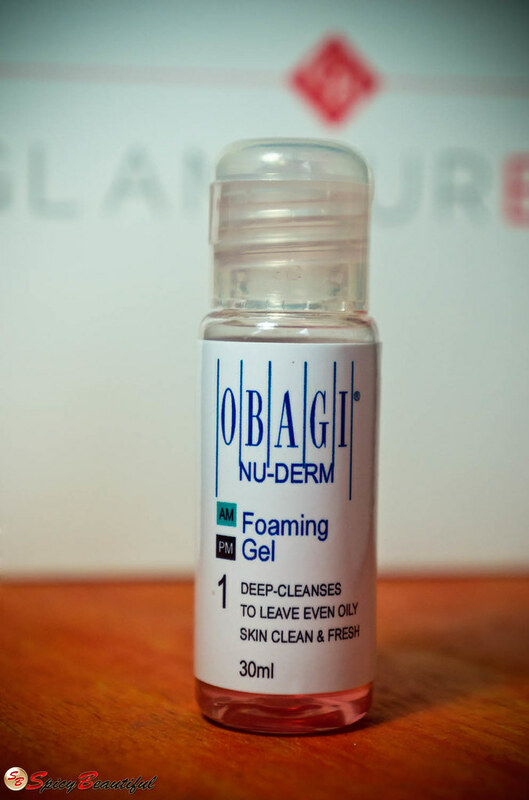 It was very oily and my skin is not able to absorb it well leaving me with a greasy after-feel I couldn’t tolerate. Let me begin by saying that I like the color of this lipstick. It’s one of those MLBB (my lips but better) shades that are pretty much wearable for any occasion. The finish reminds me of MAC Lustre lipsticks because of its iridescent qualities when applied. 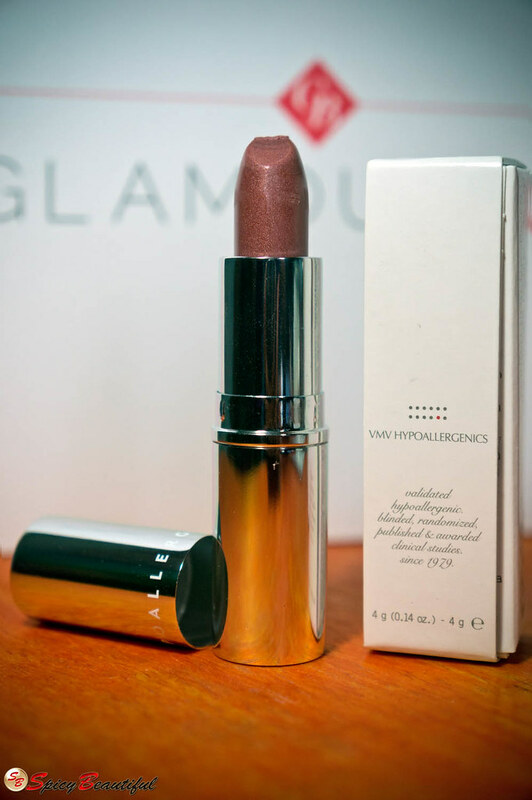 It feels lightweight on the lips and applied with minor pulling or tugging. While I can appreciate all the lip nourishing ingredients of this lipstick, its 2-hour wear time didn’t do it for me. This is the first facial mist I have ever tried and clearly did not disappoint! This is one of my favourite samples from this loot because of how it made my skin feel rejuvenated and refreshed in a single spritz. My kind of moisturizer! This one made my skin very soft and hydrated without the nuisance of having to deal with greasiness after application. My skin absorbs this moisturizer under two minutes and didn’t cause me to feel any tightness or irritation. L'Eau d'Issey Pour Homme is a spicy aquatic fragrance for men inspired by a man who has just rediscovered his affinity to nature. It opens with bitter citric nuances from a traditional Japanese fruit called Yuzu and diluted aromas of tarragon and bergamot leaves. The core exemplifies a spicy accord from nutmeg and water lily. The trail it leaves is musky and smokey from the notes of vetiver, sandalwood and tobacco holding the fragrance composition at the base. It smells light, crisp and yet warm at the same time for it showcases inclinations from the manly powerhouses of the 80’s. The temperature of this fragrance is hard to assess because it can be warm on one person yet cool on another. Either way, it poses a truly masculine scent that plays with a number of bracing notes I’ve never smelt before. Guys will love its great longevity and vast projection. Inspired by a blossoming springtime forest, L'Eau d'Issey Pour Femme is an aquatic floral fragrance for women described by its design house as a scent that is “as clear as spring water.” It opens with a mesmerizing blend of lotus, freesia, melon and cyclamen. The heart is exploding with more floral nuances from the likes of peony, lily and carnation dancing sparkling raindrops. The base is vanillic yet woodsy from the notes of musk, sandalwood, cedar and amber. Being one of the frontrunners of the aquatic-floral fragrance category in the industry, this fragrance holds a pretty powerful scent. It starts out very strong but it finishes into a crisp floral fragrance that smells as if it is drenched in marine characteristics that is a bit salty and grainy. This is an ideal summer scent because of its cool temperature and 10-hour wear time. 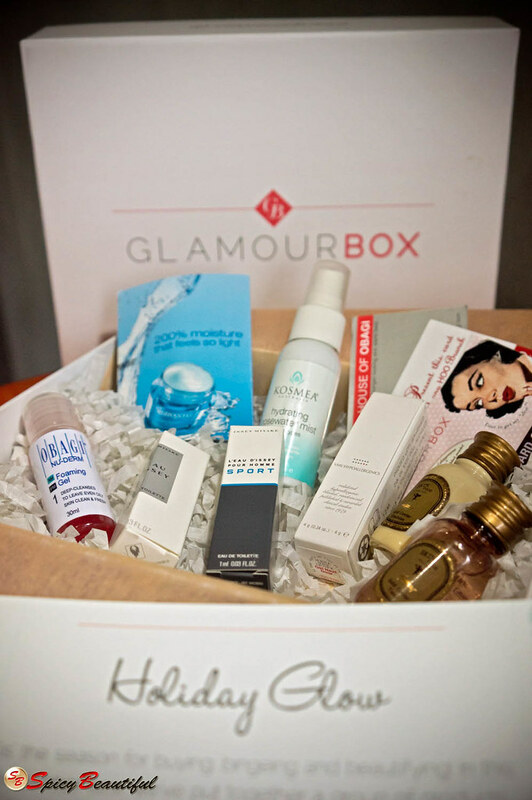 What do you think about the December 2012 Glamourbox? Share your experiences below!